Color preference? Please indicate in your order notes, or Email or call us directly! SOLO V3 Refined and evolved encompass the versatility of the Solo V3. A new leading edge to trailing edge canopy profile highlights the fine tuned changes in the Solo V3 that brings maturity to the kite. This profile design improvement reduces flutter in the critical areas of the wingtip, increases stability in gusty wind conditions and creates an instant, engaged, power delivery upon sheeting in and smooth controlled de-power when sheeting out. 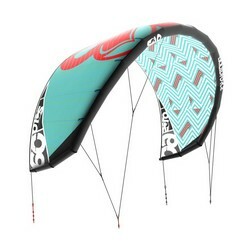 The single strut platform, mid range aspect ratio, and progressive leading edge arc moves the flying position slightly forward in the wind window offering superior low end power making the kite a natural choice for lighter wind specialists and dynamic freeriding hydrofoil riders. The light weight advantage of the single strut platform allows the Solo V3 to handle messy and difficult wind conditions with ease – offering exceptional drift in the lulls and extreme controllable depower in heavy gusts. A fresh approach to bridle configuration has created rapid turn initiation and aided in providing more wingtip pressure to lighting fast off the water re-launching. 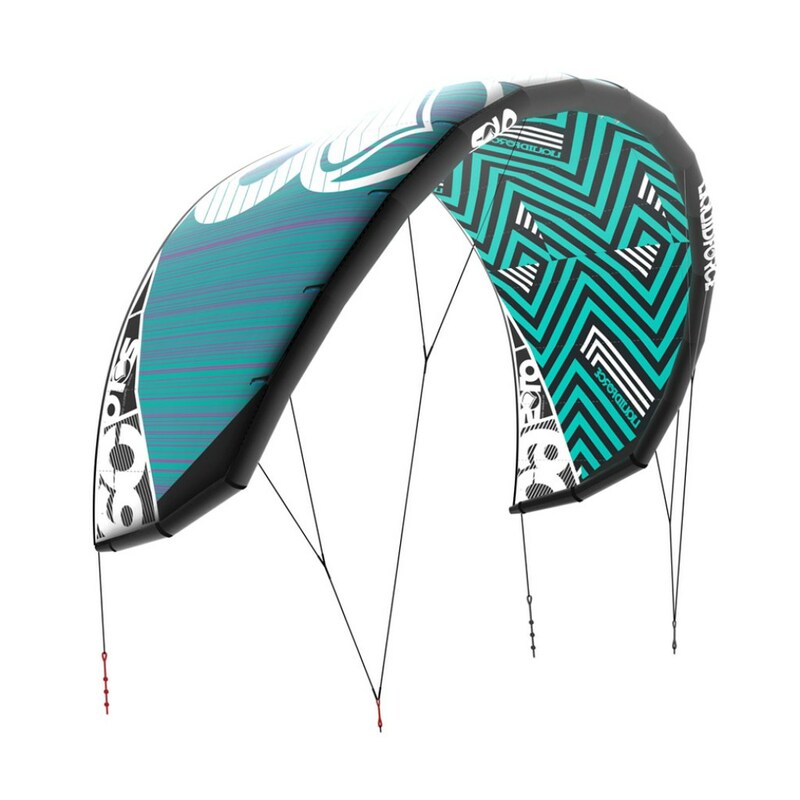 The ultimate control of the Solo V3 culminates into a kite that traverses all freeriding disciplines and wind chasing travelers.